Wendy Williams is back and better than ever! 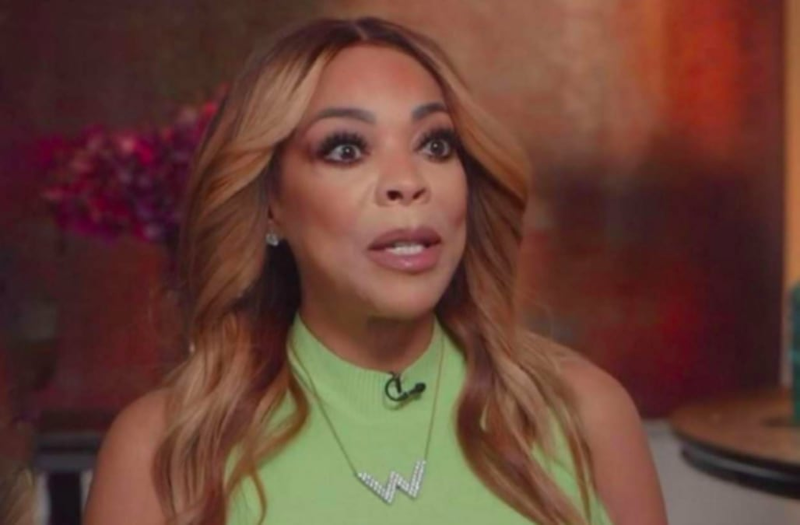 The 53-year-old TV personality returned on Monday to host The Wendy Williams Show live after taking a three-week hiatus to deal with her hyperthyroidism and Graves' disease. Needless to say, she was thrilled to be back and dishing on this week's Hot Topics, one of which was her own health battle. Upon stepping out onto the stage, the audience started to chant "Wendy," to which she expressed her gratitude to her fans. "Thank you for missing me," she told viewers. "Thank you for not replacing us, thank you for being here today." About 20 minutes into the show, Williams started to break down crying, and dried her eyes with Q-tips. "Thank you for understanding and being my special people," she said through tears. "I do the show but there are hundreds of people who are the show, and they don't get the credit they deserve. So, thank you to everyone." Williams didn't dwell on her health issues but simply told viewers that she was ordered to get some "rest, rest and more rest." She added that she underwent a "battery of tests" during her break. "I am optimum right now," she continued, later noting that she hit the "reset button" on her life. Amid the Hot Topics segment, Williams also revealed, "I got a full brain scan. ...There’s no early Alzheimer’s, dear." She then claimed that she lost an inch off her height and is now 5'10". "I have nine doctors [including Dr. Oz] checking me out," she quipped. Praising her guest co-host, Jerry O'Connell, who filled in on the program for a week, she said, "He should have his own show!" Prior to returning to daytime TV, Williams opened up in an interview with Good Morning America about what led to her taking nearly a month off of work. The outspoken host said one of her health issues was that she had become "very deficient of vitamin D," so much so that a doctor told her it was the worst they'd ever seen. "There's was just a mess going on inside my body," she explained, noting that her "levels were way off."